I had a call today from a man who was building his dream home, a two storey building that was near completion. He arranged insurance on property under an annual contract works policy as he was a residential builder by profession. 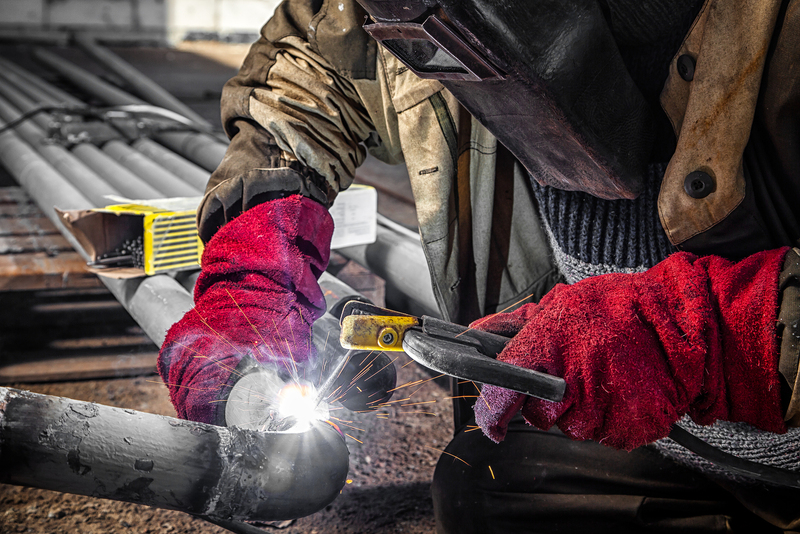 As part of the construction, he engaged a specialist welder to carry out some welding works. The exact circumstances are unclear but the welder allegedly tacked a piece of steel in two places and this was enough to ignite some insulation material near by. Despite the efforts of the welder and his supervisor the fire spread rapidly and has extensively damaged the home. The Insured contacted me personally on the advice of a friend of a friend and as I read the policy, I got that sick feeling I get when I realise that the policy is, in this case, a Clayton’s cover, that is a policy that purports to provide protection against insurable events such as fire but in fact it doesn’t. Here is the exclusion in this case. I can fully understand the need for any insured to take reasonable precautions to prevent loss or damage. I certainly do not believe that the insurance industry should be picking up the tab for ‘cowboy’ acts. So why do I feel the exclusion is so unfair? the exclusion is not only applicable to the liability section, which subject to my comments below, I can live with, but it also excludes claims under the material damage section. The exclusion is buried right down the back of the policy. As it takes away protection for a very real and significant risk I believe it ought to be highlighted at the front of the policy and / or on the Schedule of Insurance. In this case, it is on page 34 of a 39 page contract. The exclusion does not articulate what is in fact excluded clearly. It refers to compliance with an Australian Standard. The Standard is not freely available and costs over $110 to obtain. See below image. I have spoken to several builders and they have advised me that they are not trained on the standard either during their apprenticeship nor to obtain their licence. Speaking with experts in the field compliance with the standard is all but impossible to meet. You virtually have to be welding on top of Uluru to comply. When you consider this is a home nearing completion and not a purpose built engineering works where the welder can control the environment much easier. So, where does this leave the insurance adviser who has advised on and recommended this product? Why on earth would you recommend a policy that takes away coverage for one of the largest exposures during the construction phase? Why did you not provide me with an alternative and explain the differences between the coverages available in the Australian market? Why did you not bring this harsh exclusion to my attention so that I could have taken greater risk management precautions other than engage an expert in their field, ie the welder? I asked the Insured if he received any output from PolicyComparison.com which would show him, in summary form, the features, benefits and exclusions of the policy sold and or alternatives. The answer disappointingly was no. Disappointing because a) the client did not know about the exclusion until after the fire and b) to protect the broker against a possible professional indemnity claim. All of us in the insurance industry have a duty to provide meaningful advice to an insured. This has always been the case but it was highlighted in huge neon lights during the Royal Commission. I do not know why this product was offered. I would hate to think it was the cheapest available or the one that paid the highest commission. All I know is that I wish it was the underwriter and or broker who had to explain to this client, an innocent party, the position they now find themselves in, i.e. they have lost their dream home and have no insurance coverage worth its salt and are left with a massive debt. Is this the way any person with a social conscience wants insurance to work? Of course, I have looked at what chance we have against the welder but I fear they will have the same exclusion in their policy in respect of their liability coverage. I only hope I am wrong but as they too have an overseas carrier I fear I won’t be. Some days I am extremely proud to be part of the insurance profession, others I feel embarrassed and ashamed. I know if one insurer that uses this clause. It took a lot of effort to track down what these ‘compliance standards’ were. This exclusion is very common. Trades people and their brokers need to make sure it is written out as a separate endorsement if required should they be carrying out any hot work. This is where there is an argument for the unfair contract terms should be extended to insurance policies. Currently, Insurers are exempt but it would really make them act a lot more fairly if this legislation was extended to Insurance Contracts. Fires can still occur even when compliant with AS 1674.1 so the fact of a fire does not automatically mean non-compliance. In fact Section deals with what to do after a fire occurs. The standard is divided into Normative and Informative. The policy can only rely on the Normative text as the Informative text is for general guidance only and is a non-binding guide only. The Normative text is actually quite general and while imposes obligations on the welder it does not specify how these obligations are carried out or to what extent. ‘Shall’ is used to indicate that a statement is mandatory. ‘Should’ is used to indicate a recommendation. So if the insurance Policy requires strict compliance with the requirements of the Standard then only ‘Mandatory’ statements are to be considered. Nothing else is actually a ‘requirement’. ‘Section 1 – Scope and General’. So yes it does apply. ‘Section 2 – General Precautions.’ Imposes some obligations to carry out some risk management but not specifically how or to what extent this has to be done (some latitude here). present.) ‘Flammable’ has a definition which is deprecated in all but one particular standard. So its use here is curious. I hope the insurers can identify exactly what the first fuel was….most likely NOT. ‘Section 4 Hot-Work Equipment’ – the contractor probably complies. ‘Section 5 – Fire Protection’ – the contractor probably complies. APPENDICES – Informative Only – Cannot be used to ensure compliance. It is in this section that welding atop Ularu is recommended. The onus of proof for the denial falls with the insurer and likely as not the cause investigation has been insufficiently detailed to cover the nuances of the standard. In addition, the standard is supposed to be written for non-engineers, the average Jane Doe. So any interpretation of the wording needs to be read in that context, in favour of Jane and NOT to be read with many levels of complication in favour of Insurers. I have yet to meet an underwriter that has ever seen, let alone read, the Australian Standards for hotwork. When I have asked, none of the insurers even had a copy in their office. The condition is unfair and unreasonable.